We offer quality propane equipment with dependable delivery plans without the worry. Our prompt and courteous gas technicians can repair or replace propane devices, deliver and set tanks above ground and underground, run lines inside and outside, we also hook up generators. Our technicians are both licensed and insured for the state of Maryland. We would like to help your needs in anyway, no matter the size of the project. 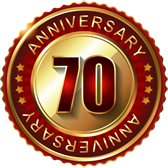 We have been providing Propane Delivery in Edgewater, MD and the surrounding areas for 70 years. Ask about our price match offer.